Striving forward to March 24 release date, Pawan Kalyan has the entire "Katamarayudu" shooting wrapped up in no time and kept only two songs in treatment. But here's a shock. Actually, after watching the first copy of Katamarayudu immediately after returning from his US trip, Pawan felt that some scenes do not turn out as good as expected. So now he wants to reshoot scenes and organized two days of the shoot. For the dates of all the stars including getting Shruti for this shoot was now a difficult task. Yet Pawan wants a reshoot. 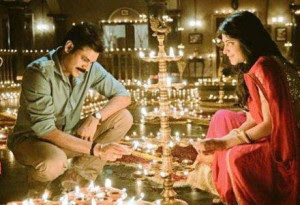 With Pawan and Shruti in the leads, Katamarayuud happens remake of Veeram film.